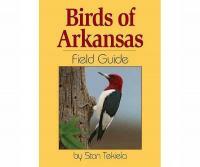 FoldingGuides offer instant access to just what you need to know. Indestructible lamination- water and beachproof. 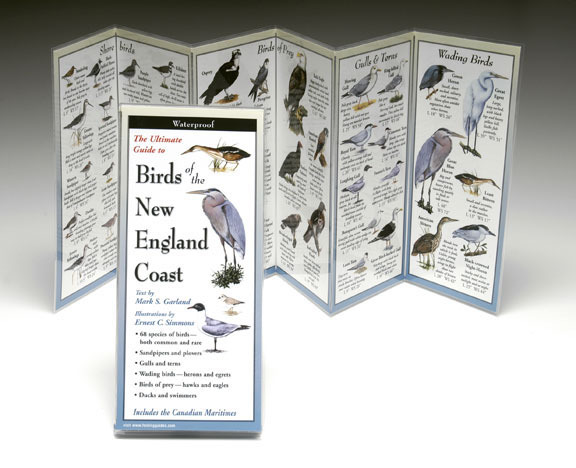 68 bird species, both common and exotic, commonly seen on or near the New England coastline from Long Island Sound up to the Canadian Maritimes. 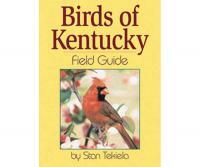 Includes shorebirds, wading birds, beach species, gulls and terns, ducks and birds of prey. 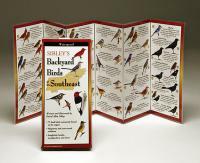 Species selection and illustrations by local experts.